So many great new spots popping up and I can barely keep up! I stopped by Jack's Wife Freda in SoHo recently and was pleasantly surprised at how much I ended up loving this simple eatery! 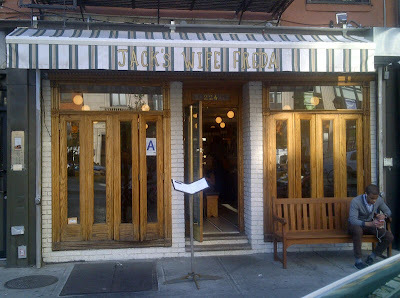 Known primarily for its brunch, I decided to give it a go during dinner and I wasn't disappointed. 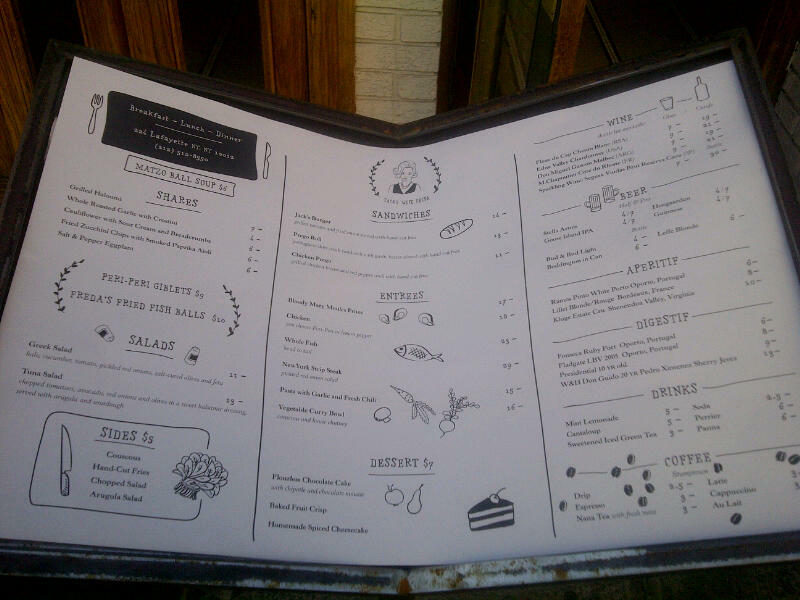 Cute storefront of the restaurant! When you first walk in, you'll notice how laid-back and simple it is inside. 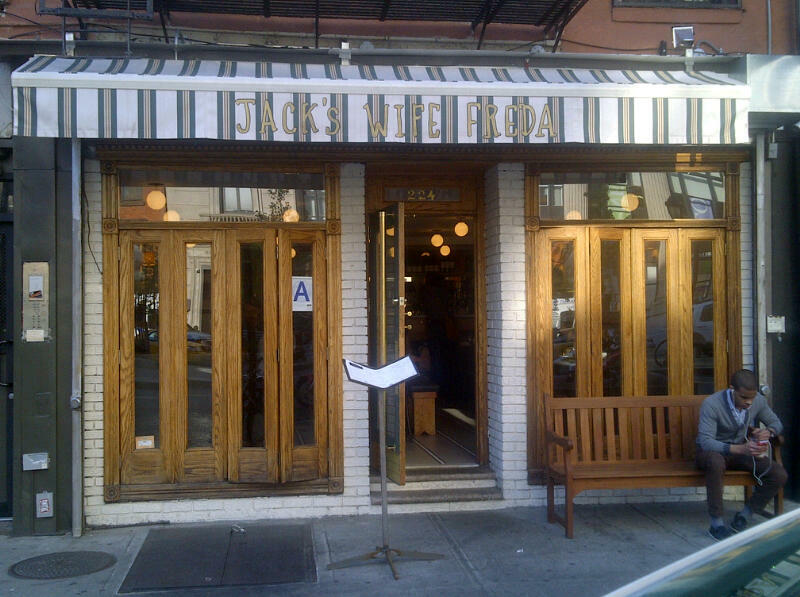 Its not fussy nor stuffy and all the staff are super friendly - definitely refreshing find in NYC! 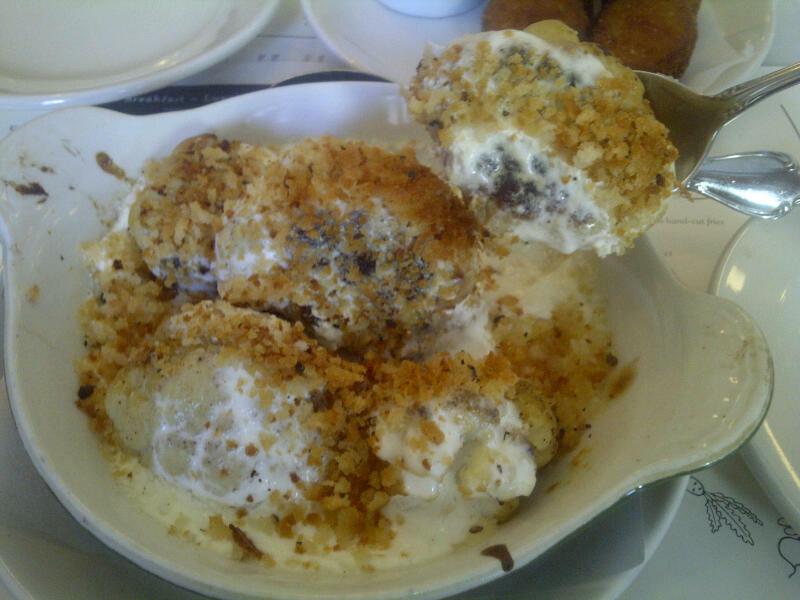 To start, how could we resist the Cauliflower with Sour Cream and Breadcrumbs?! And we also went with the Fried Zucchini Chips. 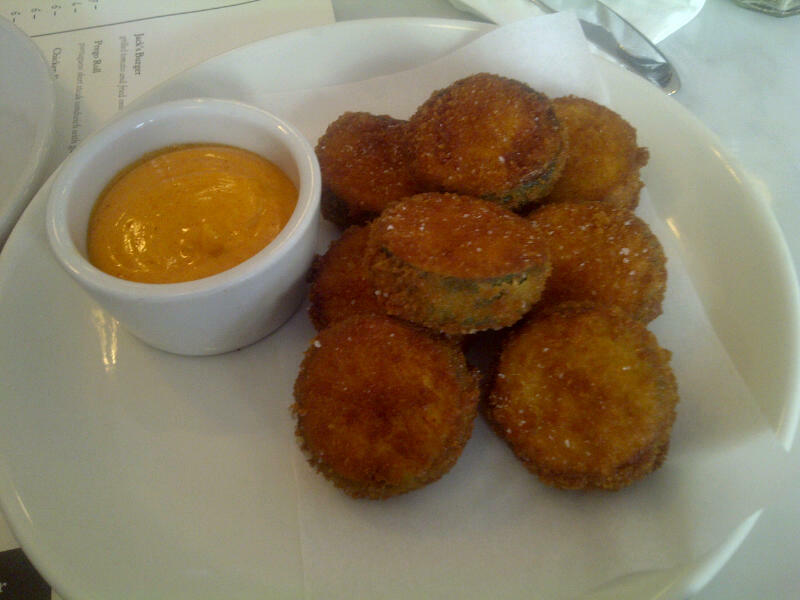 Based upon the description, I expected thin slices of zucchini but they came out to be amazing thick pieces of zucchini in deep fried perfection! Perfectly tender and steamy hot on the inside with perfect crispy breading on the outside. Amazing! The Cauliflower was also tasty - who doesn't like sour cream and breadcrumbs?! 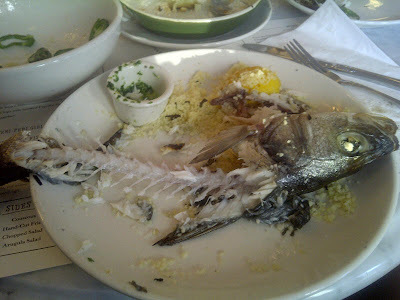 For our entrees, dining compadre and I split the Pasta with Garlic and Fresh Chili and the Whole Fish. 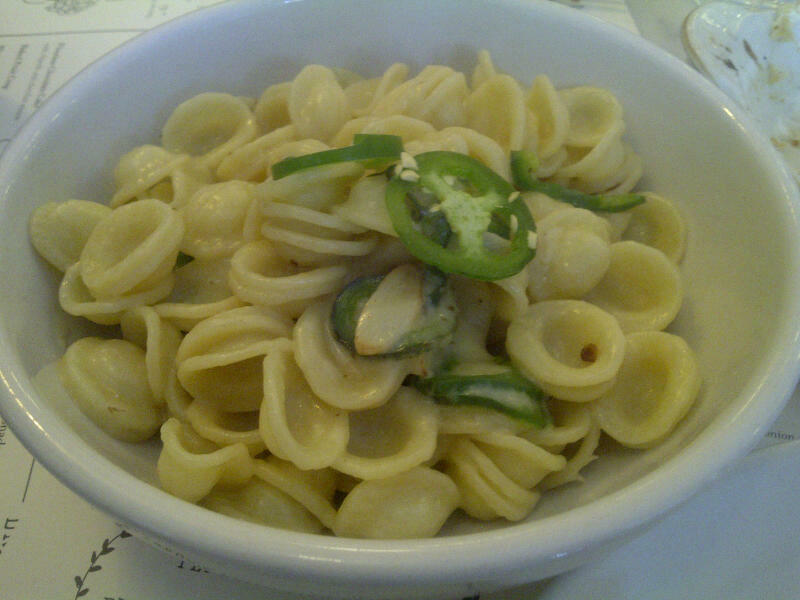 The pasta came out in a big bowl and the flavor was so simple yet delicious! Light cheese/alfredo type sauce (not too heavy at all!) with the fresh chili kick was an awsome combo! 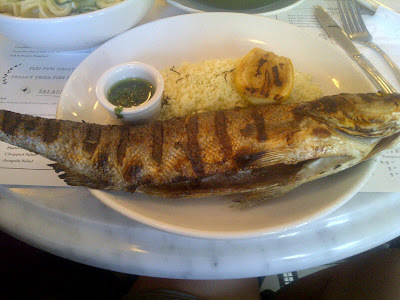 And the fish was grilled whole and served with couscous and paired with this fantastic dipping sauce. Loved both! 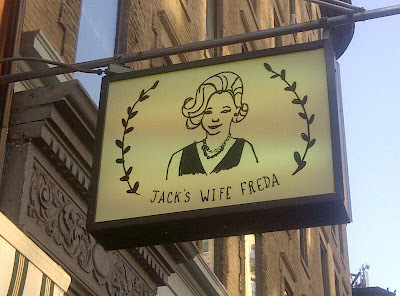 I enjoyed my overall experience at Jack's Wife Freda. 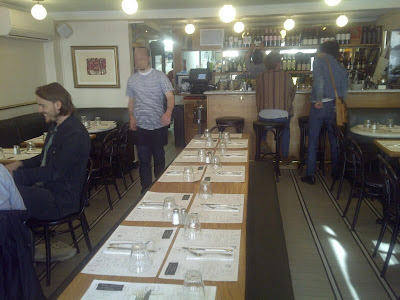 It was a simple low-key dinner in a laid back atmosphere with super friendly waiters/waitresses. I can't wait to go back and try the brunch! Chili Crab, Beef Noodle Soup, Shaved Ice Galore!